An at-risk family given the chance and the support needed to remain a family is one of the most rewarding parts of our work. With just a small helping hand, we witness families transform into stronger, more cohesive units. We see small changes bring smiles and hope. We look on as the ripples of our work wave outward and onward. Behind the numbers are the faces, the stories, and the love. These are just a few of the stories we have been fortunate to be a part of. Since she was born, little Ylionise had been getting sicker and weaker. In the West, we are used to seeing babies grow strong and healthy, but poverty in Haiti makes routine medical care a struggle between life and death. Ylionise was born with a deadly hole in her heart. Although it was treatable, the procedure was only available to Ylionise in America. As her increasingly desperate parents began to exhaust their options, an orphanage offered to pay for the surgery if the family gave Ylionise up for international adoption. Her parents thought that the only way to help Ylionise was to institutionalize her—they thought to save their daughter, they had to give her up. The condition that threatened Ylionise’s life also threatened the unity of her family. Haitian Families First showed Ylionise and her parents that they didn’t have to choose between their daughter’s life and their family. HFF, with the help of many partners, arranged for a medical visa to the United States, recruited a hospital and a surgeon to donate their services, and flew Ylionise, accompanied by her mother, over for the surgery. The surgery was successful, and a thriving Ylionise came home to her overjoyed father and older sister who had a new playmate. After the surgery, Haitian Families First helped the family look for a way out of the poverty that almost tore them apart. They loaned Ylionise’s parents money to start a roadside restaurant. They sell food several days a week, and have started to make a little bit of a living. Haitian Families First also enrolled Ylionise and her sister in their Education program, providing the uniform, supplies, and tuition for the school year. 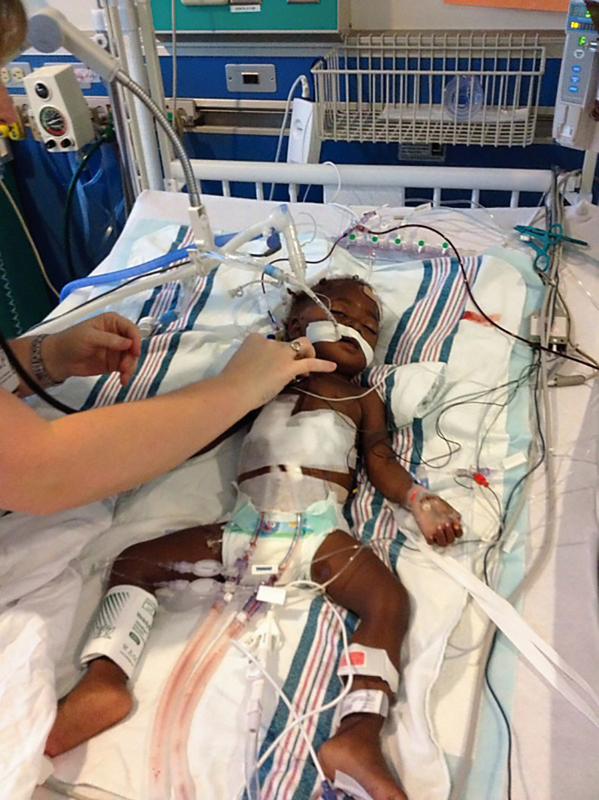 Edanson was abandoned at a hospital at 2-years-old, weighing only 10 pounds. Knowing that most mothers only abandon a child when they are afraid, desperate, and feel they have no other options, Haitian Families First asked hospital staff and members of the community to help us find the mother. We’ve helped in this situation before and knew we could do it again. The next day we found Clamene, who told us that she had searched for help for a long time and did not think Edanson would live. Because she had no money, she left him at the hospital, hoping doctors would care for him. If she’d stayed with him, she would have been forced to pay, otherwise, doctors would not have seen him at all. Leaving him seemed her only hope of having him treated. With our promise to help her, she came back to the hospital bringing along her infant daughter Nashka. Doctors took care of both children during their hospital stay and, true to our word, we helped with the bill. 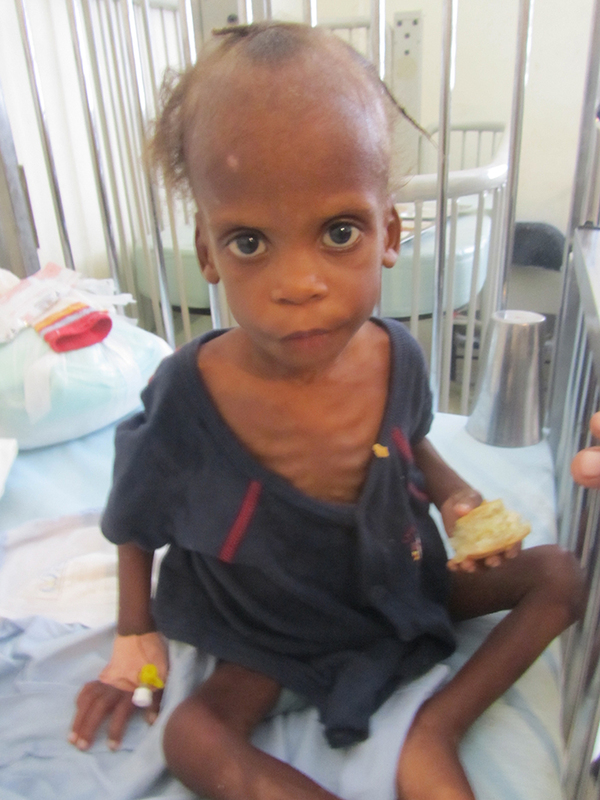 Edanson spent close to a month in the hospital recovering from illness surrounding malnutrition. During this time we also found that Clamene suffered from pneumonia and anemia. This meant that her infant daughter Nashka was not getting proper nutrients from breast feeding and was not growing adequately. With the help of Haitian Families First programming, Edanson and Nashka are home with their loving mother, and their older brother Esteven. Nashka is breast feeding and growing every day. Edanson recently started his first year of school. Edanson may not realize how close he was to not making it, but we will certainly remember in order to help the next family in need. 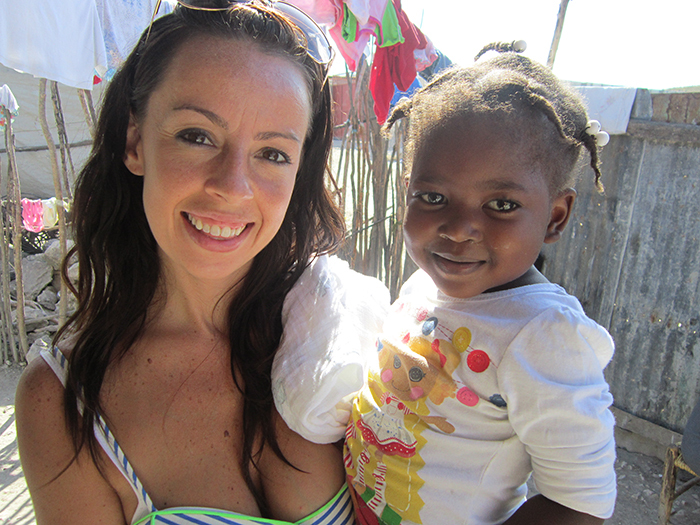 Like many parents in Haiti, Roseline often visited her daughter in an orphanage. She institutionalized her daughter because she was a single parent who had been unable to find work and provide for her child. She had accepted an offer from the institution familiar to many Haitians: to provide a better life for her daughter by giving her up for international adoption. The orphanage where Roseline visited her daughter is also where she met Jamie and Ali McMutrie. 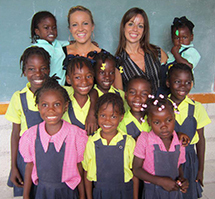 Before founding Haitian Families First, the sisters volunteered there and always welcomed Roseline. Talking to Roseline, Jamie and Ali learned that she had been desperate when she institutionalized her daughter. The girl’s father was distant, and the longer Roseline was unemployed, the thinner and sicker the four-year-old became. Roseline felt that unless she institutionalized her daughter, she would die. Four years later, Roseline came back to Jamie and Ali under happier circumstances. She had remarried and was pregnant, but the institution that had taken her first daughter was pressuring her to give up her second child. 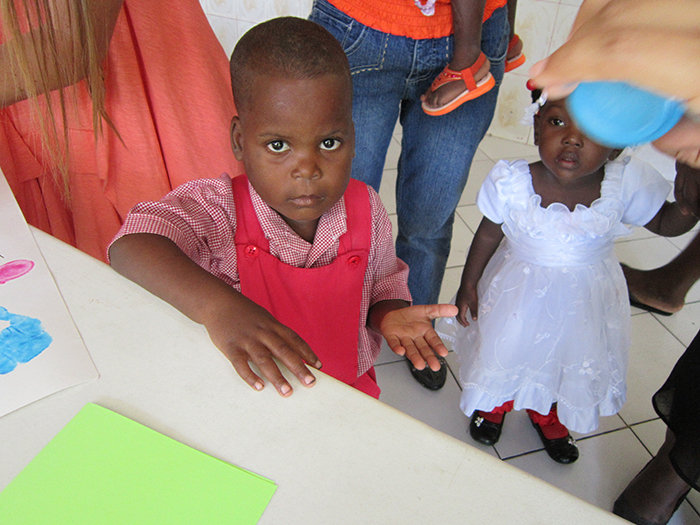 Jamie and Ali—now Haitian Families First—enrolled Roseline in their Nutrition Program. She received prenatal vitamins and gave birth to a healthy baby, Farah. Haitian Families First helped and encouraged Roseline after she gave birth, and in turn, she has been able to support Farah, now in her second year of kindergarten. Roseline does not feel the same pressure to institutionalize Farah, but feels confident that she will be able to keep her family together in the future. *Names have been changed to protect this family.